Many Canadians want to make their lives more environmentally friendly. How about their deaths? Many people are making lifestyle changes to be more environmentally friendly. Now, a Denman Island cemetery is letting people go green after death, as well. The newly created Denman Island Natural Burial Cemetery is the first exclusively green cemetery in Canada. In keeping with the aims of the green burial movement, the cemetery aims to minimize any environmental damage from the burial process: No non-biodegradable coffins, no embalming fluids, no concrete tombs, not even a tombstone. Even the cemetery itself will be allowed to grow wild without any grass cutting. "The goal is to allow natural regeneration of the forest," Louise Bell of the Denman Island Memorial Society told All Points West guest host David Lennam. "So, in 100 years, there'll be a forest there." The people of Denman Island started work on a new cemetery in 2009, when their existing cemetery, dating back to 1904, ran out of space. 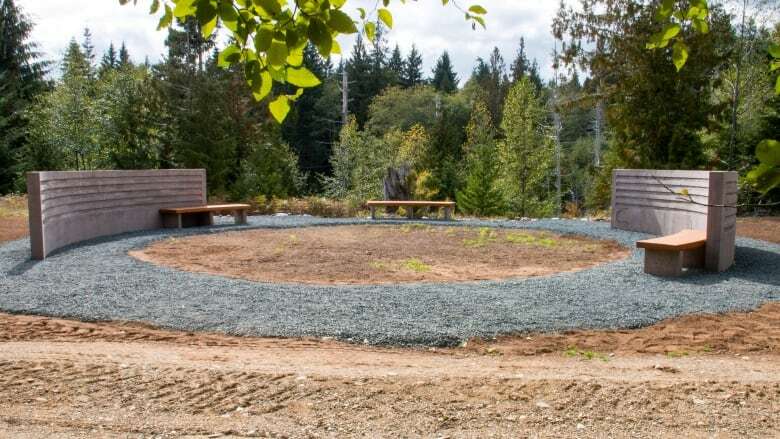 The Denman Island Conservancy, which owned 60 hectares on the island, donated one hectare of land to the Society, and they also got some pro bono landscape architecture done from a firm in Vancouver. While the community was largely on board with the new cemetery, Bell says, there were still lots of challenges. "This is what happens in small, rural communities. We don't have a municipal council to take on projects like this with a tax base," she said. "So, whether it's renovating a community hall or creating an arts centre, it takes a group of people who see a need and get together and put in many volunteer hours and put on fundraisers. And this happens all around the province." The cemetery is wedged between private property and a wetland. The only hint of human activity is a gathering place where memorial plaques are found. So far, several plots have been sold, but Bell warns that families who bury a loved one there won't be able to visit the burial location once the body has been interred. That's to allow the forest a chance to grow back, over and around the deceased, undisturbed. The cemetery officially opens on Sunday, but is holding its first burial on Friday.